Network marketing leads are essential in building a successful home business. Although there are several options on how you can generate leads, most marketers over complicate the process. Today I want to provide a simple overview of how easy it can be to generate network marketing leads. 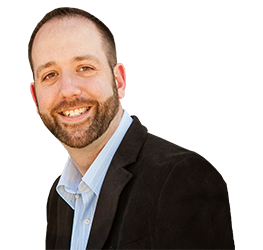 Hopefully today’s blog post and video can help you avoid the often costly learning curve that can come with online marketing, and provide a simple effective path to results. The key to achieving speed to results is simplifying your understanding of the process, and taking consistent effective action. New comers often see themselves as lacking the time, money, and understanding to successfully generate leads, when in reality they are over complicating the process. Today that changes! The moment you start network marketing business, your necessary resources immediately begin dwindling. What are these resources? People you know that you can expose your product or opportunity to. The answer….network marketing leads! There are lead vendors everywhere selling leads to people who want nothing more to build a business, but desire to move beyond cold market prospecting. I say learn how to market and generate your own. There is nothing better than connecting with someone who found you online. They see you as the authority and they have identified themselves as someone who is interested in what you have to say. So who qualifies as a lead? 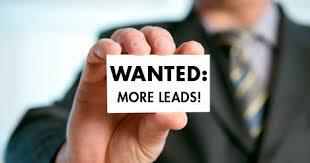 For and me and for most successful home business owners out there, leads are anyone in your captive audience who is interested in hearing what you have to say. It can be someone from your warm market list, a Facebook fan, a YouTube subscriber, Twitter follower, etc. If you are serious about generating network marketing leads, don’t look at it one dimensionally. Focus on building your audience over time, and by providing value to that audience over time you are literally turning a cold market warm. Your Prospect: The average network marketer may feel like there is a prospect shortage out there. What you must know is that there is an ever growing audience of people moving online and seeking a solution to help build their business. These are your future network marketing leads. All you need to do is connect them with an offer that puts their needs first….that solves their problem. An Offer: Too many network marketers are focused on the sale. Meanwhile the average prospect is wondering what’s in it for them. When marketing online make sure to take a prospect first approach. Provide an offer that is so valuable, that meets their needs so much, that they can’t help but exchange their info, like your page, subscribe etc.. Many marketers may not have something to give away when getting started. Even if they do they may lack the infrastructure to successfully present the offer and follow up with their prospect. In my opinion using a system is the best solution. I believe that My Lead System Pro is the best option in our industry, anyone who is serious about leveraging the internet to build a network marketing business should take the risk free 14 day trial here and check it out. Traffic: Simply stated, traffic is getting your prospects eyeballs on your offer. Truthfully, when you make a decision to use a system like My Lead System Pro, then this is the only part of these 3 components that you are responsible for. One of my favorite ways to generate traffic is by creating content, but there are other options. Watch the video below where I explain exactly how simple it can be to start generating your own network marketing leads!….Enjoy. Awesome content! Everybody needs lead generation tips that these are awesome! Looking forward to the next post!